Being able to treat my taste buds to new flavors is one of the greatest joys of cooking. 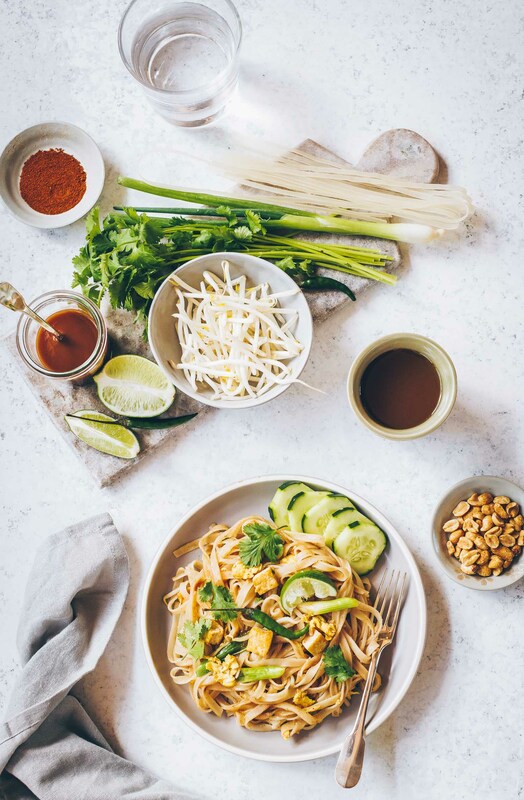 I love trying new recipes, becoming acquainted with unfamiliar spices and learning about a different culture in the process. A lot of times we encounter the same base ingredients but cooked with different spices, we get to know an entirely different dish. In a way it makes our world seem so big and so small all at once. Take this dish, for instance. 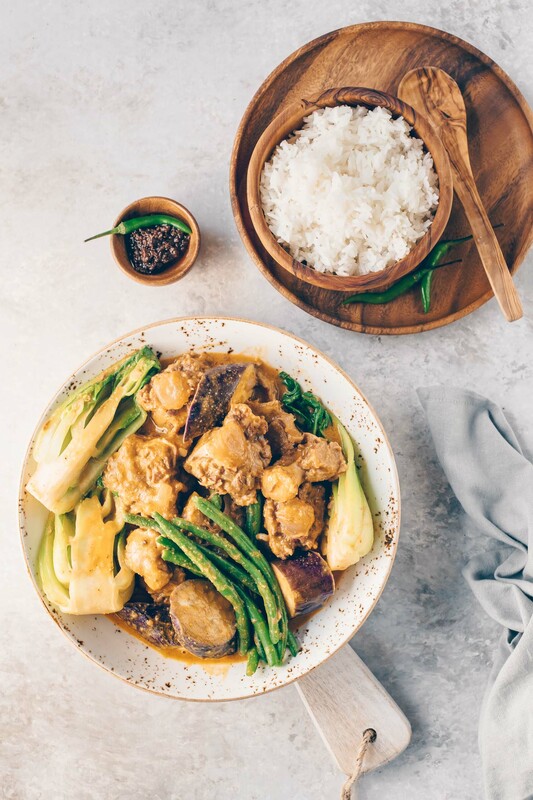 In Philippine cuisine, chicken asado is everyday fare. 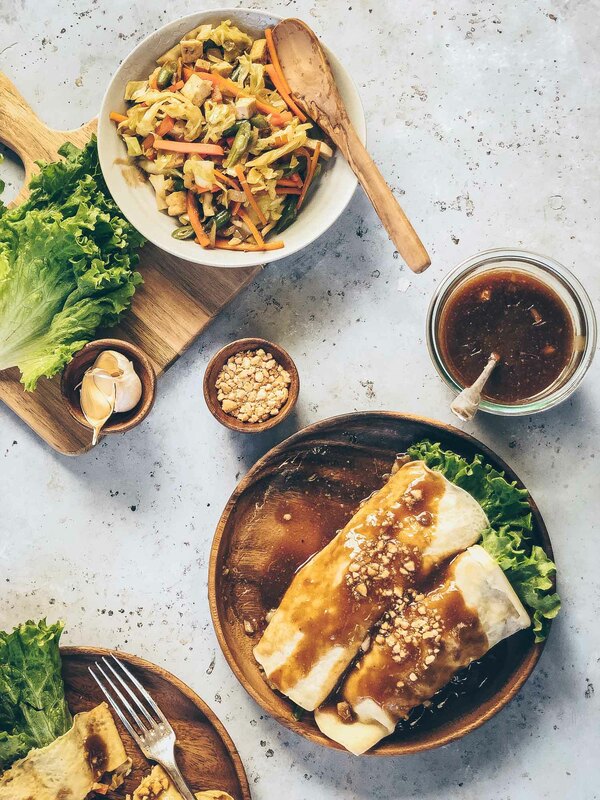 The name may imply Spanish origins (the Philippine Islands were under Spanish rule for over 300 years) but its key ingredient, soy sauce, reveals Chinese influence, too. This mingling of various cultural influences is very typical in filipino cooking. No matter the true origin, chicken asado is one of my favorite dishes. After a few weeks of trying new recipes, I had to go back to the basics. Instead of paging through cookbook after cookbook, I dug inside my mental file for some real comfort food and this chicken asado came to mind right away. I grew up eating this simple stew; it’s simple, delicious and very satisfying. 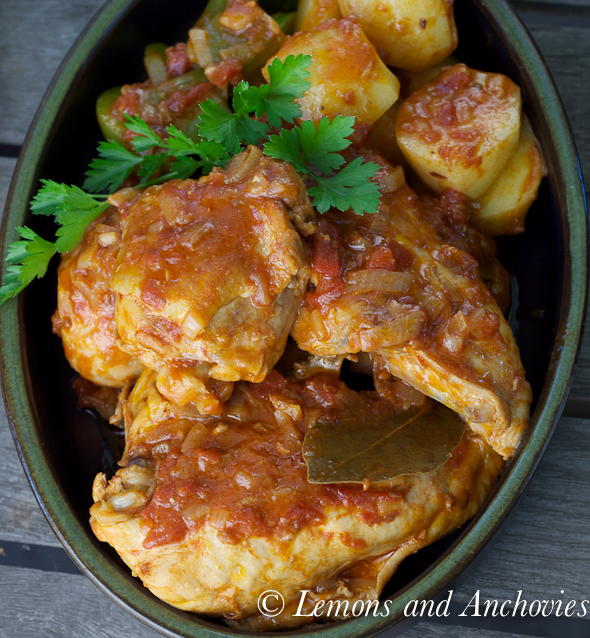 If you’re not familiar with this dish, it might help to say that it’s a bit similar to cacciatore-style chicken. Even though both dishes are subject to regional variations, they share these base ingredients: chicken (though any kind of meat may be used), tomatoes, bell pepper and onion. Both are slow-simmered to allow the tomato flavor to develop and turn into a rich, thick sauce. Don’t let the addition of soy sauce discourage you from trying this. 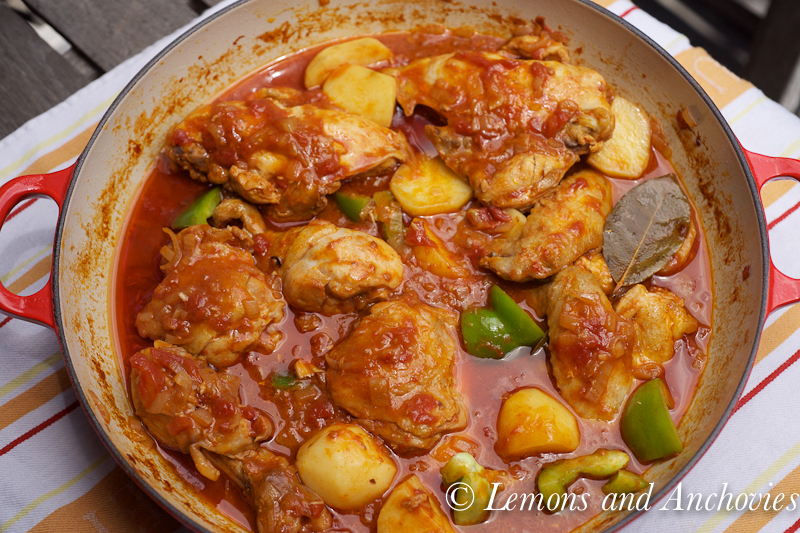 The small amount that is used disappears into the sauce and marries well with the tomato base. The soy sauce adds a layer of complexity by counter-balancing the sweetness that develops from simmering the tomato sauce. 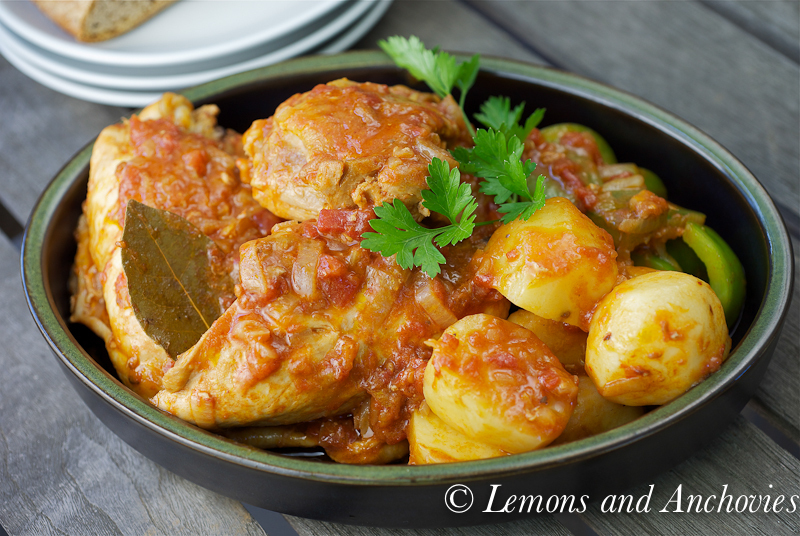 Chicken asado is great with crusty bread, potatoes or even pasta but I like it best with steamed rice. It also makes for great leftovers since the sauce tastes even better the next day. And here’s another note: This is the dish that makes me look forward to Thanksgiving turkey year after year. My mother taught me make asado out of leftover turkey and believe me, it beats eating turkey sandwiches for a week! Just throw in your turkey, tomato sauce, onions and drippings into a pot and you’ve got a completely different dish. Note: The easiest way to prepare this dish is to sauté the onions or shallots in a little olive oil and adding the chicken, bay leaves, soy sauce, vinegar, diced tomato and tomato sauce all at once. Simmer for at least 45 minutes. I’ve also prepared this in a slow cooker with very good results. Sear the chicken pieces on both sides in a little olive oil and set aside. You don’t want to cook them; browning the outside helps keep the meat from falling apart while simmering. You can also lightly salt the chicken at this point. In the same pan, sauté the shallots for a minute or two. Add the diced tomatoes, tomato sauce, vinegar and soy sauce (add two tablespoons to start) and deglaze the pan for any brown bits that may have gotten stuck. Cook for a minute or two to concentrate the tomato flavor. Add the bay leaves, cover and simmer, stirring occasionally. You want to simmer this, covered, on low heat for at least 45 minutes to an hour. Keeping the lid on will allow the steam to drip back into the pan and be a part of the sauce. This is also necessary to dilute the soy sauce. If you taste this about 15 minutes into the simmer time, the soy sauce flavor may seem dominant but time (and the additional liquid from the steam) will mellow it out and the tomato flavor will intensify. If you decide to use potatoes, add them during the last 20 – 25 minutes of cooking. The bell peppers about five minutes before you turn off the stove. Serve with rice, a crusty loaf or just the potatoes. Isn’t it great that we can pop back to our childhood through food memories. This looks super tasty and satisfying. Thank you for sharing! I´m from Brasil and we do this dish a long time ago. Its very tasty! I loved hearing about this dish from your childhood, it is amazing how much we are drawn to the meals we had as children. This entree is full of unique flavors and spices…I’m sure it is delicious! This sounds very similar to a Portuguese chicken stew my grandmother used to make (only hers has no soy sauce, obviously, and has a whole lotta paprika instead). Very comforting stuff, indeed. Isabelle, the version with paprika sounds great! If you make this in your slow cooker just keep in mind that the sauce might not be as thick since more liquid will accumulate. You can add tomato paste to compensate. What a fantastic idea to also make this with turkey. Yum! The turkey version is actually really good. Thanks! Love recipes/food that takes you back to your childhood. What a delicious hearty stew, YUM, Thanks for sharing! This recipe is great! I think I will be making this for my family this week! How funny reading the title of your chicken dish as in my native country, Portugal, Chicken Assado means chicken baked or roasted, interesting what influences from other countries create. Your lovely homey dish reminds me something my Gran would make but we would call it Chicken Estufado. And actually, we also have an estufado dish! I’m sure it also goes back to Spanish/Portuguese influence. Great my daughter and i will have to try this one for the boys. Childhood memories are always so special, and a dish like one is really a great way to celebrate those memories. What a lovely dish! I pretty much love any chicken dish that includes potatoes….yours looks and sounds delicious…I’m glad you posted this very happy memory from your childhood! I love dishes like this that brings back wonderful memories. It’s gorgeous! What a delicious flavorful stew! Love it! Thank you so much for sharing. You blog is wonderful. I love your photos… remembering childhood dishes are such great memories. I am going to have to try this soon. Wow! This looks really simple and delicious!! Can I ask if we can use ketchup to replace the canned tomato sauce? You know, I wouldn’t suggest using ketchup for this. I think you’ll end up with an entirely different dish. Why not use tomato paste instead? Loved the background info:) This looks amazing! I also loved this dish growing up, and it’s one of the standby’s I like to make when I’m in a rut! Such a lovely post… it was so nice to read about the origin and how your mom made this for you! 🙂 Looks very comforting and hearty! There are certain dishes that I look at and then I miss home – this is one of them. Thank you for taking MEe back to my childhood with this delicious dish. Added 2 packets badia seasoning and some garlic. This is a keeper, and best of all gluten free. For my (grown) sons, I took the chicken off the bone — an extra step. Francine, thanks so much for trying this. I’m so glad you liked it.